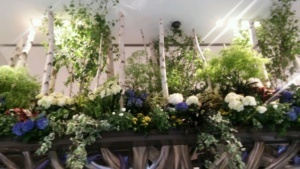 Macy’s annual floral spectacular is blooming at Herald Square in New York City. 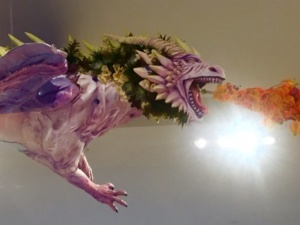 With a grand opening Sunday, March 25th, the show will sprout through Sunday, April 8th. 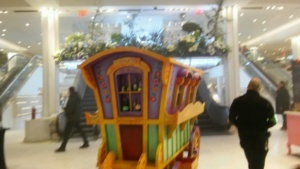 Once Upon A Springtime transforms the iconic store into enchanted gardens where the beauty and renewal of the spring season meets the whimsy of a fairytale journey. 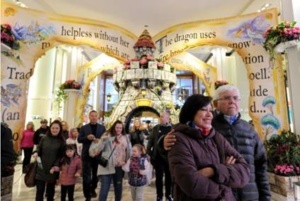 This year’s themed celebration will bring to floral life an original twist on classic fairytales, creating a world of personified flora and fauna, princesses, evil queens, fairy godmothers, and noble knights that lead spectators on a wondrous journey. 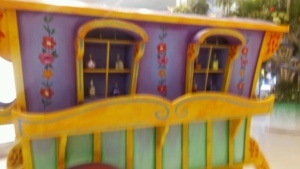 As visitors enter each show, they will have the ability to choose their own adventure, based on how they begin their trip through the floral fantasy land. From a towering castle where the Princess resides to a meadow of brightly colored flowers, an enchanted forest, and lush lagoon; spectators will play a part in Spring’s triumph over eternal Winter. 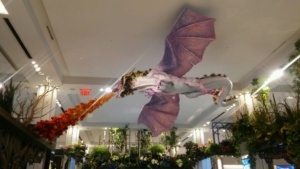 In addition to the magnificent landscaped gardens, Flower Show spectators will have the opportunity to enjoy a host of special in-store events including floral, food, and fashion demonstrations, celebrity appearances, and more during the two weeks the show is in full bloom. 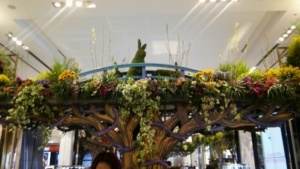 For more than 70 years, Macy’s Flower Show has delighted generations of floral aficionados with over-the-top presentations of lavish gardens that showcase millions of live flowers, plants, and trees from around the globe. 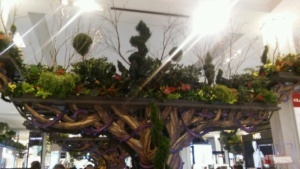 Native to many different landscapes, Macy’s Flower Show features floral material blooming in unison, despite their unique climatic DNA. 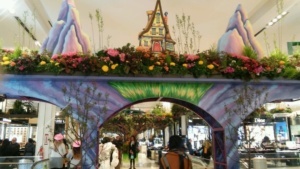 Taking root in unexpected settings, such as store countertops, windows, and specially-designed architecture, including grand bridges, columns, and topiaries, Macy’s Flower Show is staged in distinct fashion at each of the three locations nationwide. 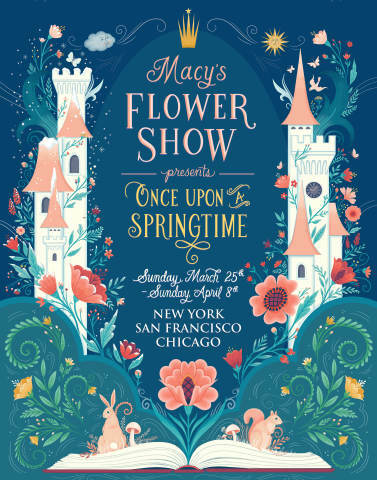 Macy’s springtime tradition is supported in part thanks to signature partners including Girl Scouts of the United States of America, Homewood Suites® by Hilton®, and Sinclair Oil Corporation.